The second session of StartupQuest Selangor, held recently in October, saw a high number of participants, with 13 teams comprising over 53 participants competing to validate their startup ideas and develop prototypes in line with the ideals of taking the city to smarter heights. Organised by the Selangor Information Technology and E-Commerce Council (SITEC), and held at the Selangor Digital Creative Centre (SDCC), the event started off with its standard pre-workshop, where participants were given a crash course on simple coding tools, as well as advice on wireframing their ideas and business modelling. Invited to aid in those courses was Dr Lau Cher Han, Chief Executive Officer of LEAD (League of Extraordinary Developers) and Chief Researcher of SITEC, who spoke about the business side of startups, as well as gave a crash course on simple coding tools that would enable the participants to form a prototype and landing page over their two days during the main event. Also mentoring during the pre-workshop was Shawn Cheng and Tan Hsia-Liang from DeUX, of which Cheng is the co-founder. The duo engaged the participants in activities that helped them to work in a team, as well as in utilising a business model canvas to build their business ideas. Reuben Ch’ng, Creative Marketer of Cat Insights, was also a mentor over the two-day pre-event workshop, and spoke about digital marketing and how it would play a role in helping the participants reach out to their target audiences. On the first day of the event, a total of 53 participants turned up, where they were first treated to breakfast, before taking part in several ice-breaking games focused on helping the participants to know one another, as well as to build a sense of camaraderie. Then, during the 60 second pitching session, where each participant had 60 seconds to pitch an idea, participants pitched a total of almost 30 ideas. Also known as the “elevator pitch”, this simulates the situation where they had gotten into an elevator with a potential investor, and they had only that much time to pitch their idea. 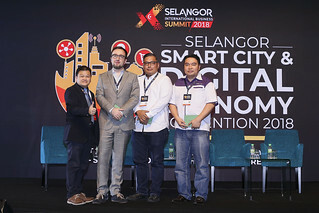 With almost 30 ideas focused towards a Smarter Selangor, ranging from planting trees to green the city, to an app that would allow citizens to contact their local MP about potholes in their areas of jurisdiction, and with some participants having come for the event prepared with more than one idea, it can be said that the participants were definitely prepared. However, with almost 30 ideas and 53 participants, it was necessary to come to a vote on which ideas made the cut. Participants were allowed three votes, which they could use to vote for their own idea as well. Due to the number of participants, it was decided that the cutoff point would be 13 ideas, allowing for 4 members to a team, and one team with 5 members. 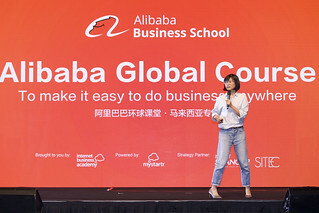 After the votes were tallied and the ideas announced, the idea owners of the shortlisted 13 were allowed to make an an additional pitch to convince the other participants to join their team, as well as to clarify what they would bring to the team, or what they would need on the team. Following that, it was time for the participants to form their teams, with idea owners approaching or being approached by other participants. Once teams were formed, they were required to register their team names, providing the names of their team members as well, before getting to work on preparing a prototype of their app, as well as a presentation for the Final Pitch. Participants were also briefed on the judging scheme and the Final Pitch, which would afford them 5 minutes to present to the panel of judges, where they would have to show how their idea would function, what solution it would provide to which problem, how it would function in a Smart City, as well as provide a demonstration of their product. Several mentors checked in over the course of the afternoon and evening, standing ready to offer advice or critiques should the participants ask for their help. Among the mentors were Dr Lau, Cheng, and Ch’ng from the pre-event workshop, as well as Gary Boon and Ally from Wofollow, Vivan and Jones from LEAD, Kenzo from Biztory and Xun from Lava X Technologies. 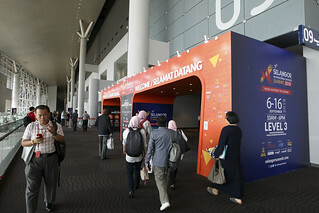 Participants were allowed to use any meeting room or co-working space, with teams mostly concentrated on the lower level. However, teams were required to leave before 11PM. Day 2 saw the participants gathering at the SDCC, raring to continue their work from the day before. Participants were also asked to join in on morning exercise, as a bit of stress relief and to prepare themselves for the coming crunchtime. As it was with the day before, mentors stood ready to offer advice, with more teams approaching the mentors on Day 2 as compared to Day 1. As time grew short, and the clock ticked down towards the evening, the participants really felt the crunch of the deadline. In the afternoon, Dr Lau gave a briefing for the participants who would be pitching during the Final Pitch, offering tips, dos, and don’ts to the pitchers while also advising on any presentations that may have been ready at the time. Also present were other mentors who would offer their own experiences and advice from time to time. After the briefing session and the practice runs, teams continued their frenzied pace as the deadline of 5PM grew closer and closer, when the teams would all be gathered in the hall for the FInal Pitch. The culmination of over 3 days of preparation, learning, and staring down the clock had arrived, as it was time for the Final Pitch by the thirteen teams. Each team was allocated 5 minutes to present to the panel of judges as well as the audience, which included several alumni from the May session of SQSEL. The judges for the October session of SQSEL were Dr Lau as the CEO of LEAD, Mr Eizzar Supiar, Investment Manager of Cradle Fund, as well as Mr Yong Kai Ping, Chief Executive of SITEC. After a brief introduction of the judges, it was time for the Final Pitch to begin. Each team started talking about their topics, with some utilising the storytelling method, as a means of getting across their inspiration for their solution while outlining the problem it would solve, while others decided to just delve right in and introduce their app, presenting their solution in a way that maximises time efficiency to outline the problem, their solution, and their objective. There was even a team who had managed to head to a nearby hospital to shoot a video for their presentation. After each presentation, the panel of judges were allowed a Q&A session, with questions the judge may have about the solution, about how the product would move forward, handle competition, or distinguish itself from similar available solutions. After all of the presentations, questions asked, and questions answered, it was time for the judges to deliberate their choice. A short recess was called as the judges adjourned to the holding room to discuss their choices and come to a conclusion. Each judge then offered their comments about the event, commending the teams on their ideas, while offering advice to the teams. Each judge was then presented with a gift of appreciation. By the decision of the judges, the champion was Team Nurstrix, which places itself as a matching service between trained nurses and the people who needed them, such as those with infirm parents. The team took home a prize of RM650 in cash, free participation in an exclusive Minimum Viable Product (MVP) boot camp organised by LEAD, as well as the use of the co-working space at SDCC. The first runner-up was Smart Eco Community, which offers itself as a centralised condominium security management and resident notification system. The team took home RM350 in cash, received a 50% discount for the aforementioned LEAD-organised MVP boot camp, as well as the use of the co-working space at SDCC. The second runner-up was CT Hero, an app that allows users to report potholes and other hazards directly to the Member of Parliament in charge of their area, while also serving as a dashboard for said MP to interact with the constituents. The team took home RM250 in cash, received a 30% discount for the aforementioned LEAD-organised MVP boot camp, as well as the use of the co-working space at SDCC. With the prize-giving completed, the hall adjourned for a photo session, as well as dinner, officially concluding the event.